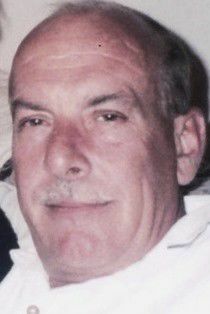 THE VILLAGES, Florida — Trent M. Strang, 68, passed away suddenly Dec. 22, 2018, in The Villages. Trent Strang was born July 11, 1950, at St Mary’s hospital in La Crosse, to Merval and Kathleen (Fulmer) Strang. They took him and his twin sister, Lynette, home to Viroqua, where he continued to live throughout his youth and working career. He was baptized and confirmed at the Good Shepherd Lutheran Church in Viroqua. He attended Viroqua elementary, graduated from Viroqua High School in 1968 and attended several years at the University of Wisconsin at Eau Claire. He worked in his father’s plumbing and heating business and then took the job as Vernon County’s first County Zoning Administrator. He remained there for 30 years up to his retirement in 2008. He married Mary (Norris) Strang in 2001. Later, when Mary retired, they purchased a second home in an active winter get-away, The Villages, Florida. For the past eight years, they took pleasure in warm weather, year round golfing (in Florida and Wisconsin) and the many country clubs. Trent loved being at the Viroqua Hills Golf Club, either playing a round of golf or enjoying happy hour. He made many friends there and played in the Viroqua Open for many years. Trent was an outgoing, fun loving guy and always had a smile. He could go anywhere and strike up a conversation with a stranger like they were old friends. Trent is survived by his wife, Mary (Norris) Strang; his mother, Kathleen Strang of Viroqua; and his twin sister, Lynette (Richard) Getter of Viroqua; also his niece, Nicole (Dan) Hewitt and their children, Tyler and Zachary of New Berlin; and his nephew, Jason Getter and his children, Matthew, Bella and Wesley of Andover, Minn.
Trent was preceded in death by his father, Merval Strang Jr.; and mother-in-law, Gerrelyn (Gerry) Adams. A visitation will be held from 1 to 3 p.m. and will be followed by a funeral prayer service at 3 p.m. Friday, Feb. 15, at the Vosseteig-Larson Funeral Home in Viroqua. Pastor Yvonne Marshall of the Good Shepherd Lutheran Church will officiate. Online condolences may be offered at www.VossFH.com. The Vosseteig-Larson Funeral Home, 123 W. Decker St. in Viroqua is serving the family.